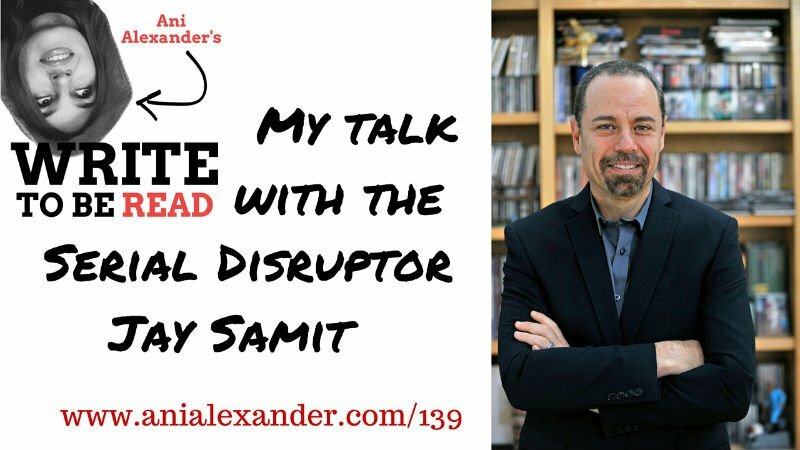 Today my guest is Jay Alan Samit. Jay is a dynamic entrepreneur who is widely recognized as one of the world’s leading experts on disruption and innovation. He launches billion dollar businesses, transforms entire industries, revamps government institutions, and for over three decades continues to be at the forefront of global trends. His bestselling book Disrupt You! is a go-to book for starting entrepreneurs. It will help you achieve success that you deserve! Obstacles are really just opportunities in disguise. Failing is learning what doesn’t work. Failure is throwing in the towel and giving up. If you think you can or you think you can’t you’re right. If you want get something done give it to busy person. A dream with a deadline suddenly becomes a plan. You can have everything you want out of life – you just can’t get it all in once. The writing is the small piece of the puzzle. Too many people listen to everybody that gave up on their dreams to convince themselves to give up on theirs. Motivation is like shower – you need it daily. You don’t get to live forever but what you create can – so why not focus on making what you create matter? Being a writer means that you believe that you have something that is worthy of other people’s time. Building a global business has never been easier. There’s always a way to connect your thoughts with the world. Looking back I realize that most of the time I’ve been chasing all the rabbits. The visible ones, the invisible ones… I looked for new places to spot new rabbits… and as a result I was doing many different things and getting mediocre results at best. No surprise that I did not catch any of those rabbits. Focus has been a challenge for me. And it’s mainly because it is difficult for me to choose just one thing to focus on. Deciding what is the most important thing for that moment can be hard. And even when you decide… sticking to it is even harder. There are many people fighting for your attention. There are many distractions getting on your way. There is family, there are relatives, there is social media, the stupid TV, the good weather luring you to go out, the new e mail, which just arrived…. The distractions are endless and they will always take you away from your 1 chosen thing all the time. That is why by choosing a goal you want to focus on, you should make that a top priority. Everything besides that should come AFTER you have completed the task you focused on. If you need good results you have to be ready to sacrifice. You will need to give up many things, or at least postpone them for later. Focus on the most important at the moment – and the most important thing for that moment is reaching your goal. That means that you need to allocate time and effort on things, which will get you closer to the desired result. So if you have to write a blog post today, for example start your morning with that task and don’t leave your seat until it’s done. Don’t proceed with anything else before you have your blog post written and completed. Only then go ahead and let yourself get distracted. After – and NOT before or during. My problem has been that I always had too many things on my plate at the same time. I worked on several projects. I did different unrelated things. I did not prioritize things by their importance and pushed myself too hard to do and complete them all. As a result many things did not work, I started burning out and the disappointment was always somewhere around. Now I decided to do the opposite and focus on 1 rabbit instead. It was hard decision to make, but I did give up several things I was planning to do. I didn’t even start those projects. No matter how exciting they seemed, I decided to give them up. 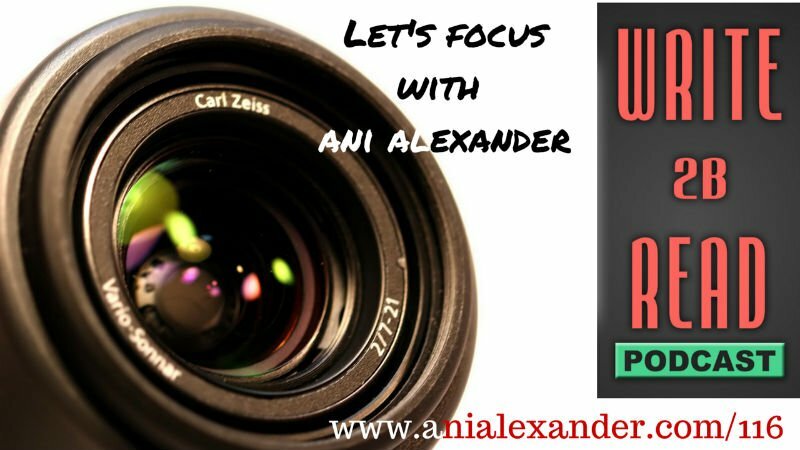 So right now – Publish My Book Today is my top priority. I want to make it work, I want to make it grow and succeed and I want to keep focused on it until it does. You are welcome to check it out, provide your feedback and let me know what you think. I still kept 2 rabbits though… because I simply could not give up this podcast and let you all down. So think about what projects are you working on. Think about which are important and which can be left for now. And choose the rabbit you’re going to focus on. Today I would like to talk about numbers… No, no – we will not go into maths or any calculations. Let’s see how people who don’t know you judge about your reputation online? They look at how many followers you have on Twitter, how much traffic does your website get, how many likes your Facebook page has, etc. They check who your Facebook friends are and how many of those are well-known and influential people. It becomes a game of large audiences, big e mail lists and download numbers. Let’s look at the traditional publishers. They don’t care about what kind of book you have. All they care about is how large is your audience and how many of your book you could sell to them… Which makes me think – hey if I had a large audience and could sell many books why would I need you anyway? The problem is – When we get into that swirl we forget one simple truth and that is – those numbers represent people. Every single one is a human being who lives, feels and thinks. Our e-mail list is not a list of e mail addresses – it’s a list of people. When we look at our website traffic graph – it’s not clicks – it’s people who made those clicks and ended up on your website. Many don’t realize that it’s not about the size of your audience. It’s about the engagement of that audience. It is about the quality of that audience. So how do you create a high quality audience. I think it can be built only through relationships. And I do believe that human relationships can be built in the virtual space. You may not be meeting those people in person, but you have the opportunity to connect with them. At the beginning I was chasing numbers too… I logged in to my Amazon KDP dashboard and tracked the book sales. Those numbers impacted my day’s mood and low numbers made me feel like a failure… But then I looked at it otherwise… Even if only few people gave my the precious gift of their time and attention and if they spent hours and days reading what I wrote and it made them feel something – that’s already impressive and great. If I compare my podcast stats with the very popular podcasters I may get depressed at some point. But it doesn’t happen because I don’t do that. I look at the stats and try to remember that on the other end of the word, there are people, who listen now and hopefully get inspired and encouraged by what I’ve got to say. And if this podcast helps even only few of you – then I’ve accomplished my goal. I truly believe that it’s all about relationships. 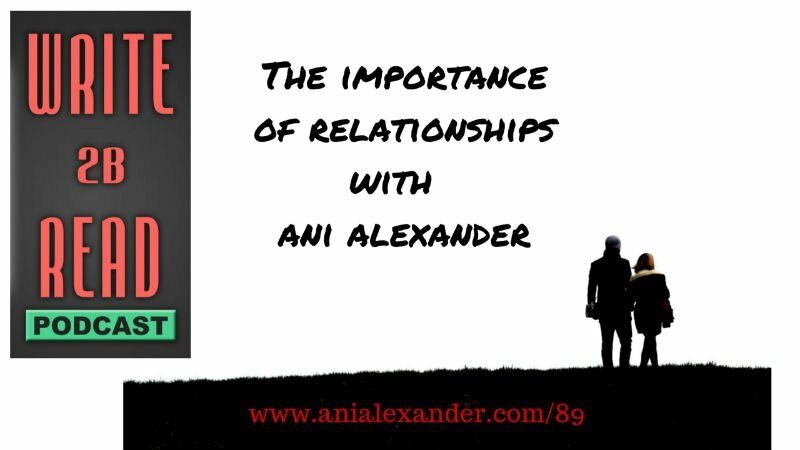 Relationships are not built overnight and it is a long-term thing. But believe me, it’s absolutely worth it. It may seem difficult but it is not really. If you care about your audience and provide value to them you’ll be fine. So many successful people during our interviews repeated over and over again that the key to success is helping people. So I guess it’s time to listen. The thing is – It’s not about you… it’s about them. By shifting your mindset from “what is it for me?” to “how can I help them” things will start changing. Ideally there should not even be “me” and “them”. If you manage to create a community, which will be called “we” then you’ll totally nail it! So don’t chase numbers. Instead have a goal of creating a loyal audience, who will be around and who will support and encourage what you. So today I wanted you to Think about those things – because I think that it’s crucial. That’s it for today. 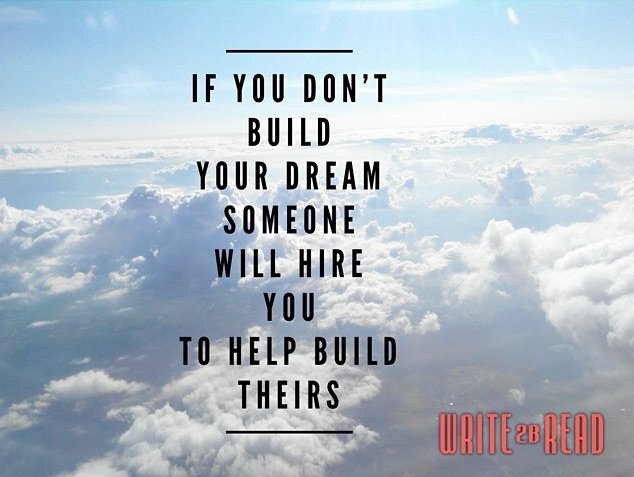 Take care and keep building your dream! I made my very first speech yesterday at the Happiness Club meeting. So another tick on my “to-try” list was made. I decided to share the text of what I spoke about here too, because I am sure that some of those who listen to my podcast and read my blog might need inspiration and encouragement. Just few years ago I would never be approached to make this speech because me and the happiness were on a completely different planets back then. Why was that? Well because I had reached a place where I did not want to be in my life. Like many people around us… by following the society norms and the path of the pre-designed life. Recall how we made decisions about our future? We never thought if we wanted to apply for university, because that’s what the society expected and respected… by all means we needed higher education. And how did we choose where to study? So it brings us to where I was few years ago… I had what people thought a happy life should be – I had a good job, I had amazing husband, wonderful child,… at some point I even had a black 4 wheel drive… but I felt miserable. The reason I had reached that point was that I could no longer find the answer to “why?”. Why was I waking up every morning and driving to my work? I had no answer to that… there was no reason. I had re-evaluated my life and as a result my life values and the job were no longer compatible. I did Steven Covey’s exercise – imagining my funeral and thinking about who I wanted to be there and what I wanted them to say and remember about me… Guess what? “She was a very good employee at Orange Armenia” was not among the things I wanted to hear. “She was pretty depressed most of the time” was not what I wanted to hear either. I did not know what I wanted yet… but it definitely was something much bigger and more meaningful. So I quit and many thought that I was crazy to toss away a “dream job” like that. Many thought that it was risky to leave a career when you are 35 and decide to start everything from scratch. But let me argue back by saying that many overestimate the safety of the 9-6 job. How can you be sure that things won’t change? How can you be sure that one day you will not get a new boss, who’ll make you miserable and whom you’d like to kill at some point? How can you be sure that one day you will not become the victim of restructuring or cost cutting? Has anyone guaranteed you a lifetime employment? Or even in that case… doesn’t it seem unexciting or scary that in 5, 10 or 15 years you will be working in the same place, doing the same thing? Well it did scare me and if that was the risk then I was willing to take it. Because not taking the risk was a risk itself. The job I had occupied all my time, thoughts and ate my nerve cells. So once I left the job there was finally a free space for new and better things to fit in my life. I got the time to think things through and experiment. As a result in the past years I did things I never thought I could do. I self-published 3 books 2 out of which became #1 Amazon bestsellers, I created my personal brand online, I became self-publishing coach and I launched a podcast called Write 2B Read which featured NY Times bestselling authors and inspiring entrepreneurs and has been listened to more than 70k times by now. Right now with all I do I am getting what my job paid me and believe me, I enjoy it so much more! The only reason I’m telling you this is to let you know that yes – there is is a way out. Yes, your passion can be monetized and yes, it is never too late to start over. And if I was able to do that – you can too. I am a bit eccentric by nature so my path has been a bit extreme and I do realize that not many can afford giving up the stable income. But you don’t have to. You could side hustle… You can pursue your passion on your spare time and later on smoothly transition from your day job to your dream job later on. These days you can pretty much do anything online. You can become a virtual assistant and get around $500 per month working 4 hours a day. You can create online courses teaching pretty much anything you want to teach on Udemy and similar platforms and get passive income. Once you gain audience you can get affiliate commissions by directing your audience to different products and services. You can create a virtual summit and charge a fee for access. You can publish and sell books. You can create a digital video yoga programs. You can do any kind of freelance gigs… the possibilities are endless. And the good news is – it doesn’t matter where you live – all you need is a laptop, internet and English knowledge. There is a whole tribe out there – people who make from $30-70k per month, who love what they do and enjoy laptop lifestyle. I thought it was not possible… but now I know them personally. I know you can come up with many excuses and explanations of why it can’t be done… so I will bring just 2 examples. Leo Babauta was in a deep debt, he had 7 kids and he was working on 2 low paid jobs when he started his extremely popular blog Zen Habits. Jon Morrow, who is one of the most popular bloggers in the US got muscular dystrophy and is not able to move anything but his face… so he uses dictation software to write. They both changed careers and took risks… and they both are truly passionate about what they are doing. There is no magic button or shortcut to success. It takes time, it requires hard work and it’s a path with many obstacles. But believe me it’s totally worth it.